AC/DC rocked the rock ‘n ‘roll world when they postponed further tour dates due to concern for lead singer Brian Johnson’s hearing. As it turns out, the hearing problems facing Johnson – the 68-year-old front man for the famously loud rock legends – may also face millions of millennials throughout the world in the near and distant future. For Baby Boomers, you had to attend THE WHO concert to get damaged hearing. For Generation X, it was AC/DC, but now ear-shattering decibels are available with ear buds. Johnson’s ears are a miracle in having lasted this long, they have been through noises ranging from race cars to concerts for decades. Yet last year a different WHO, the World Health Organization rather than the band, claimed that about 1.1 billion young people worldwide face the risk of hearing loss. The culprits are no longer just noisy venues, but also music players. In their analysis, the WHO found that almost half of those ages 12 to 35 listen to their music players at unsafe volumes, while around 40 percent expose themselves to very loud events such as concerts. 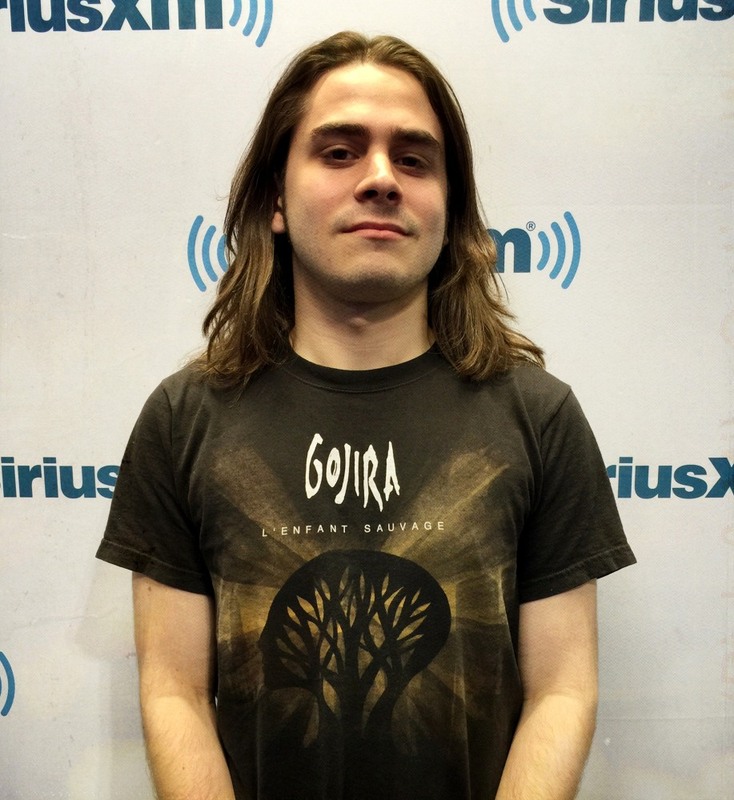 Hearing loss began early for Josh Musto, triggered at first by a heavy metal concert and worsened by years of playing guitar in two bands. Listening to loud music constantly through ear buds may be to blame for a ringing in his ears. Musto is not alone. Doctors warn that a steady onslaught of loud noise, particularly through ear buds, is damaging the hearing of a generation wired for sound — although they may not realize it for years. Earlier this year the World Health Organization warned that 1.1 billion young people are at risk of hearing loss because of personal audio devices, such as smartphones, and damaging levels of sound at entertainment venues like electronic dance music festivals, where noise levels can top 120 decibels for hours. “Probably the largest cause [of hearing damage] is millennials using iPods and [smartphones],” says Dr. Sreekant Cherukuri, an ear, nose, and throat specialist from Munster, Indiana. Hearing loss among today’s teens is about 30 percent higher than in the 1980s and 1990s, Cherukuri estimates. Cherukuri tells young patients to stop wearing headphones — especially earbuds, which place the sound closer to the ear drum, enhancing volume by as much as 9 decibels. Learn more about custom personal hearing protection. “It’s very easy to achieve unknowingly,” he said. 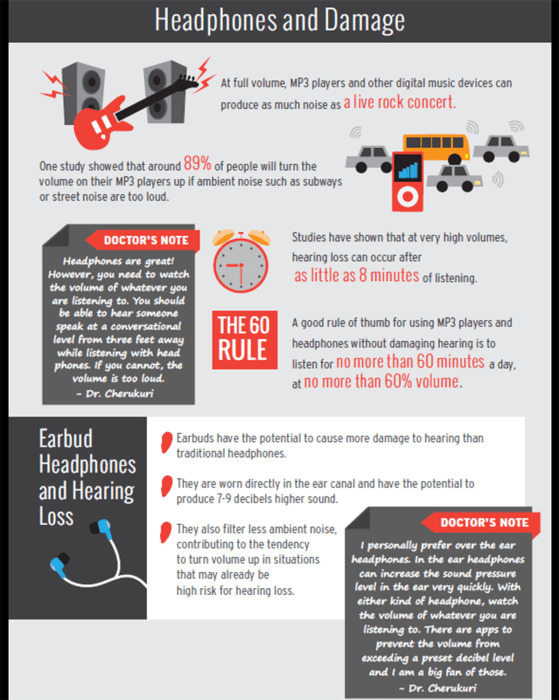 According to the National Institutes of Health, repeated exposure to sound over 85 decibels can cause hearing loss. Permanent damage can happen in minutes, experts say, and when the damage is done, it’s irreversible. “Noise exposure in kids is a growing concern,” said Nicole Raia, a clinical audiologist at University Hospital in Newark, New Jersey. Raia said she sees more tinnitus in young people, an early sign of hearing loss, but, “we don’t catch them until they are in their 20s and 30s.” And because audio-screening protocols are not that sophisticated, many children with subtle damage pass hearing tests, she added.